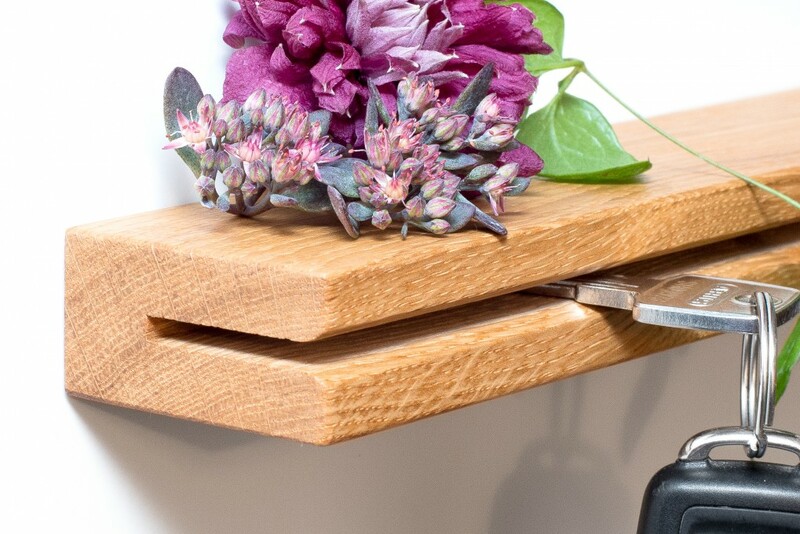 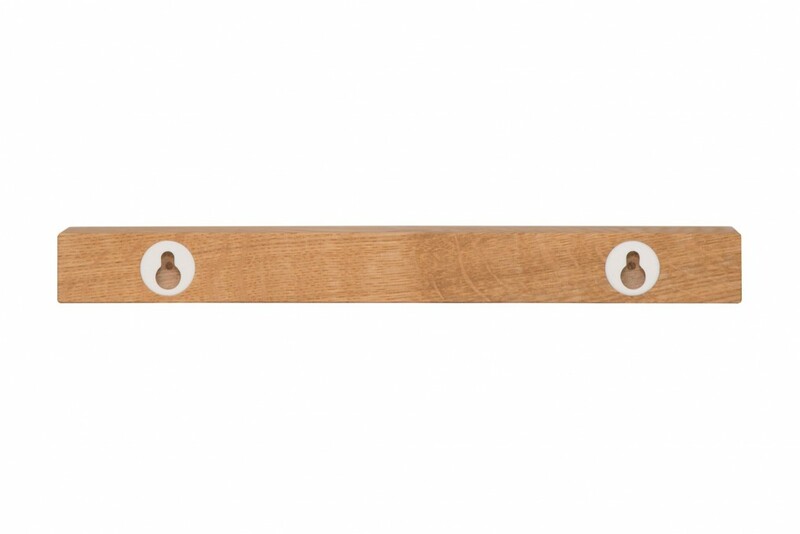 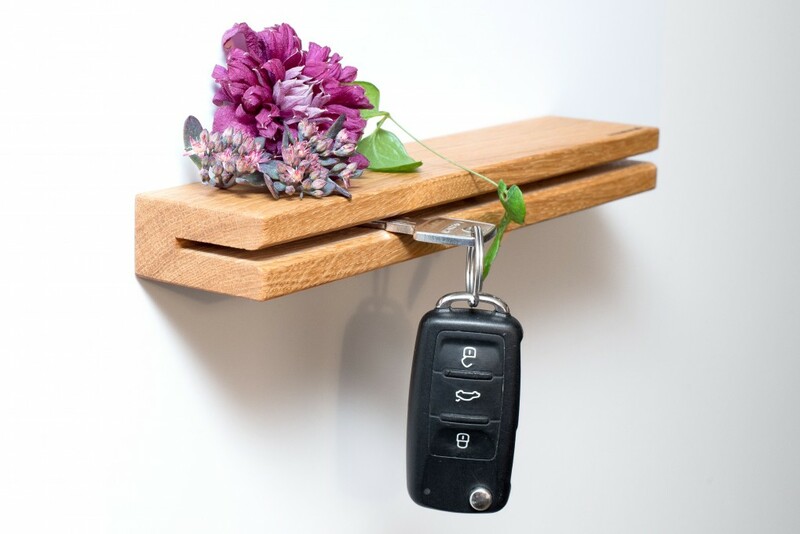 This wall key rack made from solid oak will be a useful organisational accessoire in your foyer: with plenty of room for your house key, car key, bike key or even your letterbox key. 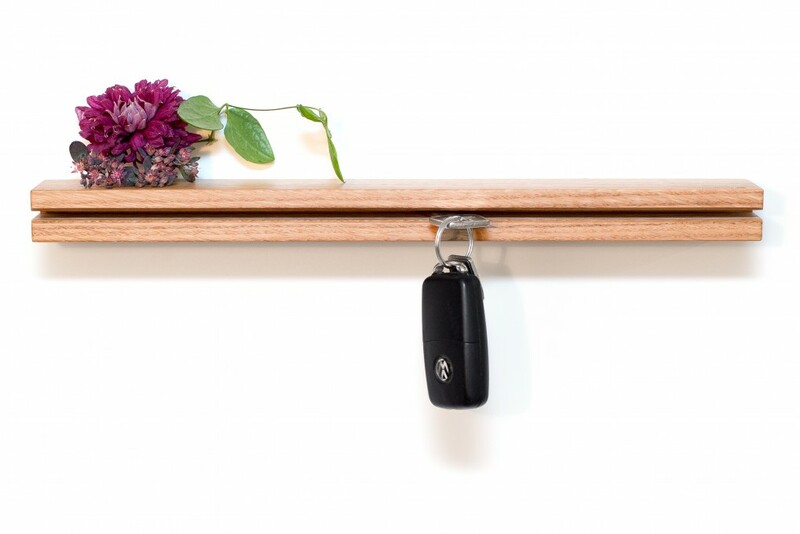 No more searching for keys! 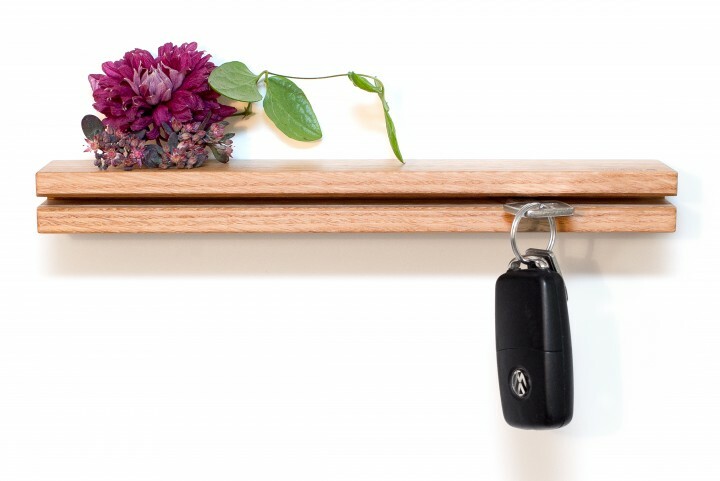 The keys are neatly kept in the slot in a presentable and stylish manner.